Setting the bar for what Move-in ready means! 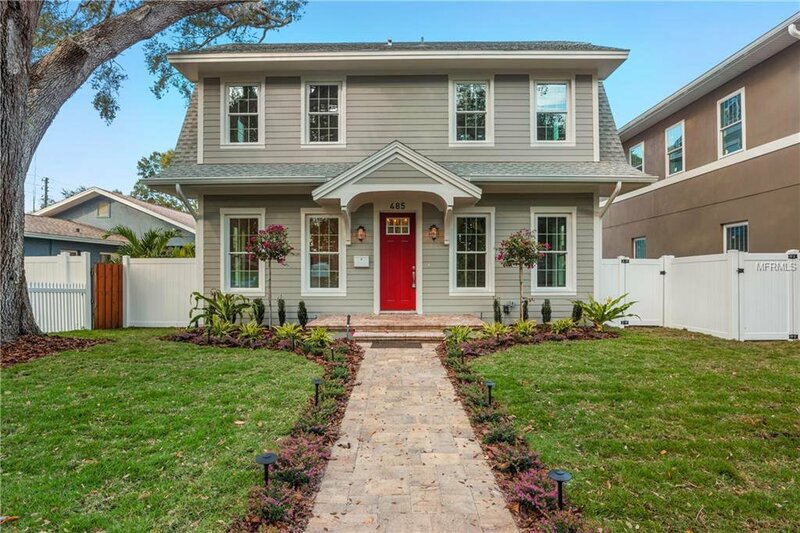 Brand new construction with all the bells and whistles. 4 generously sized bedrooms, plus an office/den that also has a closet and could be a 5th bedroom, 2 Full bathrooms and powder bath. Your 4 bedrooms are all located up-stairs, with the 2 full bathrooms and your laundry room. Downstairs you find the perfect home office, an elegant dining room, breakfast nook & over-sized kitchen/great room combo. Hard wood flooring with a hint of gray spread graciously throughout the home, crown molding at every turn & a kitchen that will take your breath away. Quartz counter-tops, solid-wood cabinets, soft-close doors & drawers, cabinet roll-outs, lazy susan, stainless steel appliances and a huge island for everyone to gather at. Great for outdoor living as well, enjoy your pavered front and back porch and an excellent space to add a pool! Not only is this home a show stopper, but with impact windows and many other energy saving features, your power bill will be lower than most. 2 car garage faces the alley. Builders pride shown throughout the home with perfection in every detail! Call to schedule your private showing today! Listing courtesy of PARK PROPERTY GROUP. Selling Office: LOCKHART & ASSOCIATES R.E. LLC.